Maree Lyndon is pictured after winning the Pencarrow Handicap on McAngus at Trentham in January 1984. By then a fully fledged jockey, she was midway through a 10-year career in which she rode 544 winners, 428 of them in New Zealand. Lyndon was one of the best of an early bunch of talented women riders, and helped raise their status and credibility. She actually won at her very first start, and in 1982 became the first woman to win the New Zealand Cup (then a Group 1 event), on Sirtain. In 1990 she won the rich Auckland Cup on Miss Stanima, and also won two Group 1 Cup races in Australia. 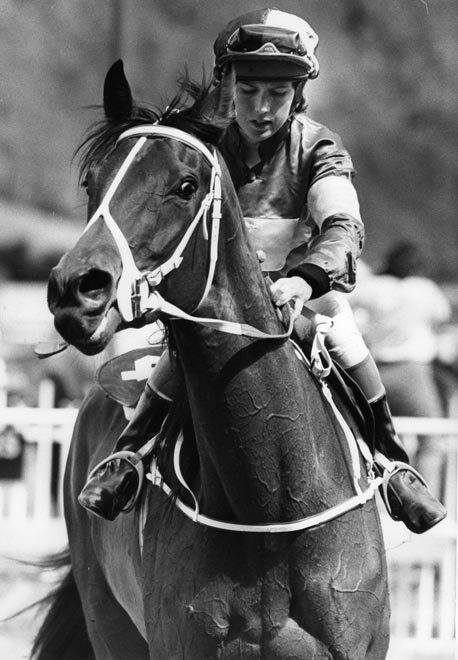 She made history in 1987 by becoming the first woman rider in the Melbourne Cup, and competed on the tough overseas circuits of Malaysia and Japan, winning a total of 80 races there.